In the 5-4 decision (pdf), the court found that the state, which drops people from the rolls if they don’t vote and then don’t respond to notices to confirm their residency, does not violate the National Voter Registration Act (NVRA). That process, says advocacy group Demos, knocked hundreds of thousands of infrequent voting Ohioans off the rolls in 2015 alone. 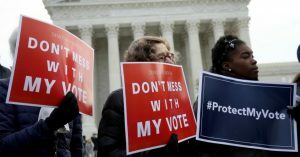 “A state violates the failure-to-vote clause only if it removes registrants for no reason other than their failure to vote,” Justice Samuel Alito, writing the majority opinion, argued. Justice Sonia Sotomayor, who joined with the liberal justices in dissenting and also wrote a separate dissenting opinion, spoke to that past as well. This case is a stark reminder that the Trump administration wants to turn back the clock on voting rights. For decades, DOJ considered these purges to be illegal. Under the Trump administration, it flipped sides to support Ohio’s unnecessary restrictions on the right to vote. 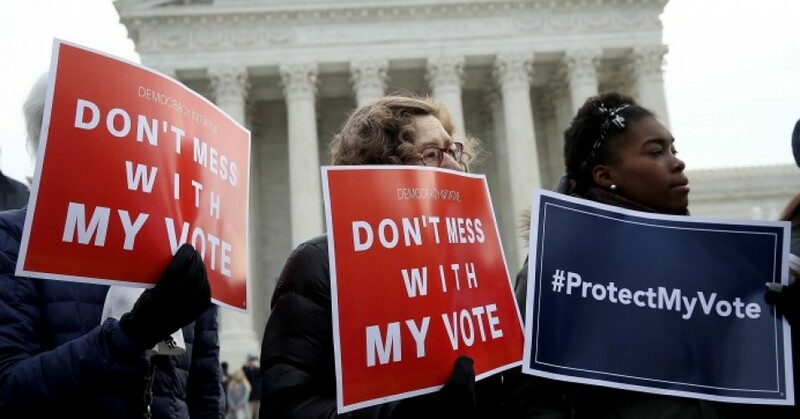 Stuart Naifeh, senior counsel at Demos, which led the legal team challenging Ohio’s voter-removing practice, cautioned against other states seeing the ruling as green light to engage in similar voter purging efforts.